‘Art Writers in Britain’ was a one-year initiative that led to a series of workshops at Tate in 2013 about the work of individual art writers and critics in Britain in the twentieth century. The writers studied included Lawrence Alloway, Kenneth Clark, Charles Harrison, J.P. Hodin, Edith Hoffman, Adrian Stokes and David Sylvester. 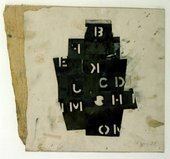 Other sessions explored art writing during the advent of modernism in Britain, art writing in relation to conceptual art practices, and the status and nature of art criticism today. Writing about the art of one’s own times has long been recognised as a crucial dimension of the production and evaluation of art, and yet to date there has been relatively little scholarly investigation into the various forms art writing takes or its broader significance. 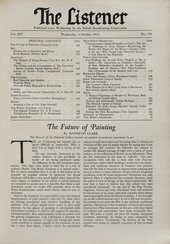 If art history tends to be grounded in the study of iconography, movements, patronage, techniques and practices, art writing, while it may cover any or all of these, is also concerned with the experience of art and its social functions. It is likely to include casual or isolated – but, in the hands of great writers, often deeply memorable and illuminating – insights and observations. Art writing can spring from the need to make a living or it can be rooted in personal obsessions and friendships; it can be framed by publishing opportunities and available technologies, as well as the needs and tastes of its readership; and it can be an entirely private endeavour. Diverse in register, form and means of dissemination, it can be found in, for example, newspaper articles and magazine essays, exhibition catalogues and monographs, novels and poems, letters and notes, radio broadcasts and television programmes. It can also occupy positions of great cultural esteem or it may be dismissed as of only ephemeral significance. The initiative aimed to explore this broad and little charted field through addressing the writings of influential figures in British art. A number were art critics but most had a range of roles and over their careers produced different types of texts about art for various readerships and audiences. Some, not all, had archives in Tate’s Archive, prompting a number of workshops to focus specifically on what unpublished drafts of articles and letters, for example, revealed about the genesis of a writer’s ideas and style. Overall, the series sought to examine the impact of art writing, its role in determining taste and shaping artistic practice, and criteria for assessing its value. The initiative led to a number of articles that are published on the workshop pages here or in Tate’s online research journal Tate Papers. We should like to thank all the authors concerned. We are also deeply grateful to all those who contributed presentations and participated in the sessions, and are particularly indebted to the convenors of the workshops: Shulamith Behr, J.J. Charlesworth, Mark A. Cheetham, Martin Hammer, Courtney J. Martin, Jo Melvin, John-Paul Stonard and Paul Tucker. Special thanks are owed to leading specialists in this field who helped guide the initiative from the beginning as well as participated in many of the sessions: Martin Hammer, Michael Newman and Max Saunders. The sessions were organised by Christopher Griffin (Collection Research Manager, Tate) and Jennifer Mundy (Head of Collection Research) in Tate’s Research Department.